"I’m a Delaware First Nations Woman living and creating in Victoria, BC. I’m a passionate community member, working with several organizations that support some of Victoria's most vulnerable people. I'm an artist, working primarily with acrylic paint. I believe craft and art is vital to a healthy society, a society of makers versus consumers." Amy is an emerging furniture artist, based in beautiful Campbell River, BC. Her artistic work started in basket weaving, using natural materials found around her wilderness home in the Strathcona mountains. In 2017 she graduated with honours from a certificate in joinery and furniture design then spent the winter setting up her home workshop. Her passion is designing unique, beautiful and functional pieces of furniture. She believes art can be useful, and that having a home filled with inspiring everyday objects elevates the joy in day to day living. Coming from Europe, Amy’s style is strongly influenced by the clean lines of Scandinavian design. These are often combined with bright colours that bring a sense of fun and playfulness to otherwise more traditional furniture. She likes to experiment with materials, incorporating fabrics and leather into her work, enjoying different textures and finishes. Every piece that Amy makes is an original, completely handmade, quality work of art. But more importantly her furniture is made to be used, loved, touched, and enjoyed. Please do touch the artwork! Maria Eduarda Mendes Martins is a composer, music director, and concert organizer resident in Victoria (Canada).Maria’s music primarily aims for transmitting essentially similar messages and human ideas through distinct musical languages, utilizing electroacoustic, spectral, extended and medieval compositional techniques as some of her communicational tools. After initiating her piano studies in 2006, Maria completed a bachelor’s degree in Music Composition at Federal University of Rio Grande do Sul (UFRGS), where she was supervised by Celso Loureiro Chaves and Eloy Fritsch (2008-2012). Subsequently, Maria moved to Canada in order to pursue a master’s degree in music composition from University of Victoria (2013-2015), studying composition with Dániel Biró and Christopher Butterfield, and instrumental conducting with Ajtony Csaba. 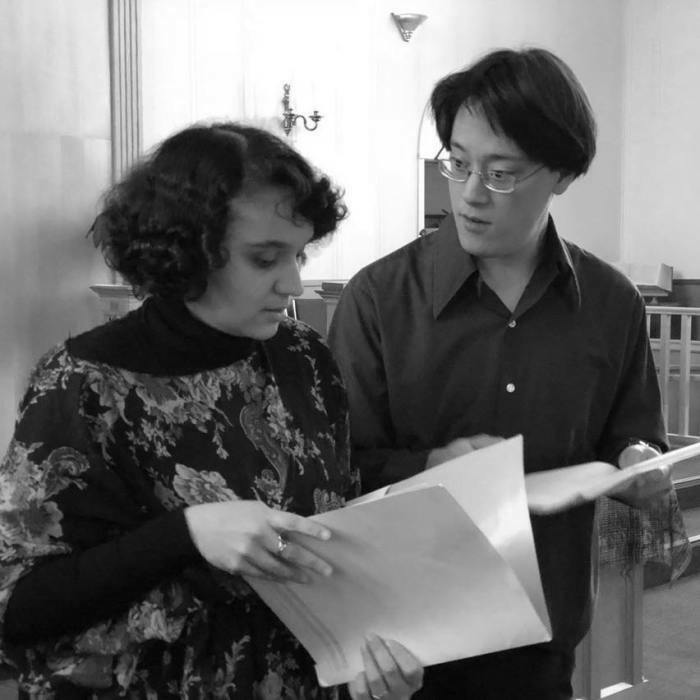 Currently, Maria Eduarda divides her activities between working as a composer, conductor, singer, Music Theory teacher, and co-director of the Victoria Composers Collective. Maria’s music has been performed in North America, South America, and The Netherlands. Mona Hedayati is an Iranian-Canadian interdisciplinary artist with a focus on drawing, painting, photography and installation and has exhibited in Iran, Germany and Canada. She received a BA in Literature, Linguistics and Translation and an advanced diploma in Fashion Design and Illustration as well as a diploma in Visual Arts. In her recent body of work, she explores the notion of the gaze, surveillance and the systems of power and the role of global capitalism therein. Mona has been recently offered a position in University of Victoria’s interdisciplinary MFA program with funding for the duration of her studies. Scott Leslie is a queer artist working in Victoria BC, on the unceded Coast Salish Territory of the Lekwungen and W̱SÁNEĆ nations. He is currently enrolled at the Vancouver Island School of Art, where he is entering his final year of the diploma program. His work merges historical scientific illustration with cartoons, pattern, and appropriated imagery to create dark, comical, and surreal worlds. The imagery he utilizes is drawn from a variety of sources including both natural and queer history, from early skeletal anatomy illustrations to imagery surrounding the AIDS crisis. His art is interdisciplinary in nature, working with a variety of media, such as drawing, painting, and embroidery, in which he deploys line and colour to examine and reinterpret the world around him. "I am an artist and architectural designer living and working in Victoria BC. I received a BFA in 2008 and MFA in 2017 from the University of Victoria. I am currently involved in the Victoria arts scene as the curator for the Ministry of Casual Living’s Window Gallery and as a member of the City’s Art in Public Places Committee. I see my paintings as tools promoting a conscious awareness of architectural space and a viewer’s presence within it. In my current body of work, the application of paint is wholly facilitated by the support structures themselves, ensuring all the implements of the paintings’ creation are present. In this way, each painting functions to reveal the nature of its own existence. The immediacy of a direct causal relationship of mark to its origin allow the paintings to shift from abstraction to actuality. The paintings are simultaneously recording medium and instrument; not just visual records but articulated proof of an event taken place." Estraven Lupino-Smith an artist, writer and educator whose work is informed by their curiosity and critical engagements with our environments: natural, cultural and constructed. Their interdisciplinary practice involves print, sound, video, sculpture, and installation, that all intertwine with research and writing work. They are specifically interested in political ecology, critical natural histories, human and animal migrations, gender, mythologies, conceptions of the wild and movements for justice and self-determination. Oona brings a deep love and respect for artistic communication to her work as an art therapist, artist and facilitator. Oona views the art-making process as an enriching place for imagination, inquiry, empowerment, and relational connection. Nurturing a relentless interest in art has led Oona to work at a variety of public and private art institutions and organizations across Canada. As an art therapist and founder of Hearten Art Therapy, Oona creates space by compassionately fostering an environment where the unique stories of each client are honoured. Oona’s art practice can be described as ‘textile mark-making.’ The process of drawing in thread arose as a way to trace the cycles of grief and loss following the death of a significant family member. In an attempt to exteriorize the circuitous process of memory and mourning, Oona used a family sewing machine to trace the void left by losing a meaningful connection. Oona used each pass of needle and thread to meditate on a cherished memory, with each circumference tracing the recalled moment. Each circle is an attempt to (re)capture the essential core of what was once experienced. Yet this act of recollection marks a new, permanent memory, leaving an object to remember remembering. The series ritualizes the impossibility of returning to the origin of memory. The drawings are an ongoing process recognizing the transitional qualities of art-making and its capacity to be a guardian of memory. Since June 2017, Oona’s art practice has been informed by the journey of pregnancy and her evolving relationship to motherhood. Her recent collections Marked Moments and Wails of Becoming have recorded the unfolding experience of being pregnant and traced the sensations of contractions in childbirth through embodied drawings that also acted as pain management. Oona lives in Victoria, BC where she enjoys adventuring through art-making. 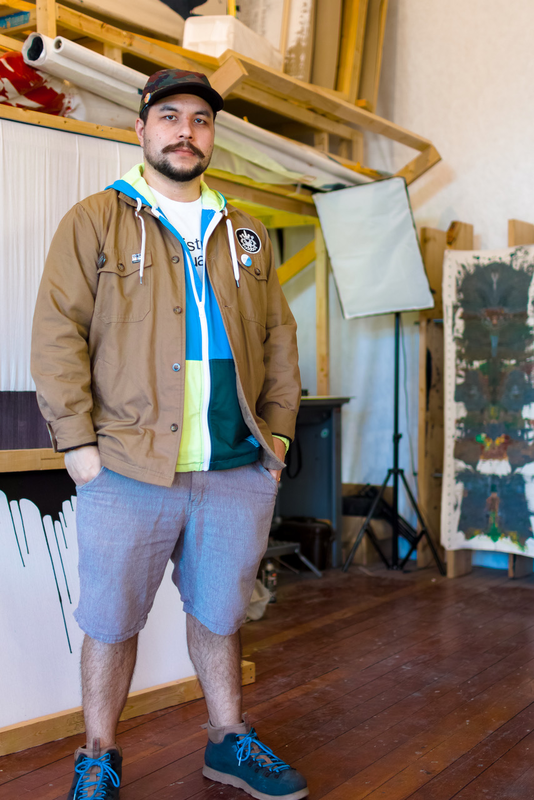 Christian McGinty is a queer artist and designer working in Victoria, BC, on the unceded Coast Salish Territory of the Lekwungen and W̱SÁNEĆ nations. He is currently enrolled at the University of Victoria, where he is working towards his Bachelor of Fine Arts with a major in Visual Arts, while also being a knitwear designer and natural fibre dyer on the side. Working primarily in photography and video art, his work is heavily grounded in research to formulate ideas and stories. An emphasis is placed on historical moments, ideas, and art making processes in order to examine themes of identity and self. Drawing inspiration from a variety of sources, such as pop culture, queer history, and his surrounding landbase, Christian is able to explore pockets of society that are often overlooked or forgotten, reimagining them as fantastical scenes. 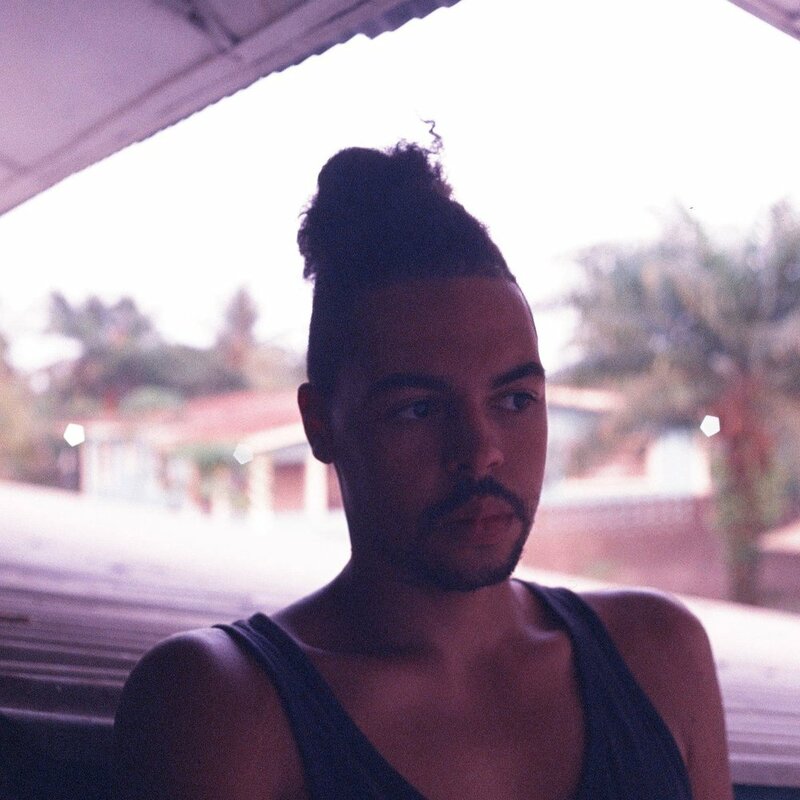 Joshua Ngenda is a (film) photographer of Kissi, Kpelle, and mixed European ancestry. Not even he knows where he is from, but he currently calls home the occupied, unceded territories of the Lekwungen speaking peoples of southern Vancouver Island. Lana Nyuli is a media artist who uses her background in performance to inform the process-based material techniques behind her animations. Approaching video as an extension of drawing and mark making, Lana's tableau-style installations create whimsical yet otherworldly spaces that exist as markers between reality and illusion. Her videos have been screened as part of festivals at Intrepid Theatre and the University of Victoria, and she has shown and organized exhibitions in both Victoria and Kamloops. Interested in the connection between art and public engagement, Lana has also taught workshops and participated in socially engaged performative projects (such as Feels Blind and Let's Get Physical at the AGGV) while working towards her degree in Visual Arts and Art History from the University of Victoria. Sadie Nielsen is from Calgary. She moved to Victoria in 2014 and lives downtown with her fish, Denise. She is a Visual Arts student at the University of Victoria and works with a variety of media focussing mainly on the exploration of the material properties of paint and sculpture media. Her current body of work deals with the uncanny and the unsettling, especially in reference to the body. Her work is heavily influenced by classical artists; she strives to create a visceral reaction within the viewer. In future works she hopes to expand on the range of emotions she can provoke in a person by the manipulation of textures and materials. When she is not creating disturbing sculptures, Sadie spends her time planting trees, reading fiction, and taking walks. Sadie will graduate from the University of Victoria in 2019, after which she hopes to travel and pursue graduate studies. Taryn Walker is an interdisciplinary artist whose artistic practice primarily consists of large, immersive, site-specific drawing installations. In 2014, Taryn moved to Vancouver Island from Revelstoke, BC to complete a Bachelor of Fine Arts Degree from the University of Victoria. In June of 2018 she graduated with a Major in Visual Arts and a Minor in Art History & Visual Studies. Recently she was awarded the Diane Mary Hallam Achievement Award by the University of Victoria for academic excellence and commitment to the arts. In January of 2017 she was also long listed for the Philip B. Lind Emerging Artist Prize, presented by the Presentation House Gallery for demonstrating excellence as an emerging video artist and photographer. Her work has been presented in spaces such as the Ministry of Casual Living Window Gallery (2018), the UVic BFA Graduate Exhibition (2018), the Martin Batchelor Gallery (2017), the UVic Audain Gallery (2018 & 2017), and the First People’s House at UVic (2016 & 2015). Taryn recently has created public murals on View & Quadra St. (commissioned by Fresh Coast) and at Wildfire Café in Victoria, BC. Her work has also appeared as part of a multimedia video installation created in collaboration with fellow artist Gina Luke at the 2018 10th Edition of Bass Coast Music and Arts Festival in Merritt, BC in July. She is also currently scheduled to participate as an artist in this year’s installment of Luna Art Festival in Revelstoke, BC, this September. April Winter is fascinated by loneliness and the psychological need for human companionship. In a small 8x12 foot cabin, she spends much time alone exploring that very idea using self portraiture. Her current series Cabin Fever examines the effects of chronic loneliness, talking to oneself, losing context of the objects around you, time flipping backwards, forwards, lapsing, shortening and lengthening. As does your sleep pattern, until the person is a still and lifeless object laying in bed or sitting in a chair looking out the window, daydreaming and dissociated. April, wondering where the mind goes when it detaches like this, transforms the small space into parallel universes that these segments of the mind and corresponding alter egos may travel too, feel comfortable in and get away from the repetitive mundanity that they finds themselves in. A vacation from the self within the self. Eriq Wong is a half-caste Chinese Polynesian, born and raised in North Vancouver, BC. He is an emerging artist on his way to graduate with a BFA from the University of Victoria in 2019. Inspired by the beauty of a living, breathing urban landscape, his current practice explores the relationship between contemporary vandalism and the vandalized. From graffiti removal to putting street art behind glass, his works question the concept of value in art. His latest work revolves around paintings on plexiglass. Several of Eriq’s pieces were featured in the 2018 UVic Fine Arts grad show, Good Grief. He will also have artwork included as part of the Commute Art Exhibition taking place on Yates Street over the course of the upcoming year.